I go for walks in my neighborhood every evening and always keep my eyes open for anything I could send in. I found this note near my front door upon returning home from one of my walks. 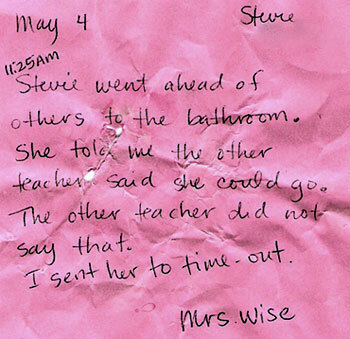 Looks like Stevie’s mom didn’t get this note.